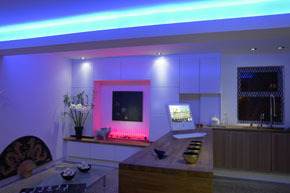 Lighting in modern homes is as much a part of the design as is the structure. It is an important tool for designers when setting the ambience of a room or defining desired features, such as artwork or a workspace. This being so, a good lighting system can be complicated, therefore requiring a simple-to-use control system. Lighting control systems break down the home's circuits into simple scenes which can then be triggered by conventional light switches or even touch screens. Lighting control systems can also provide time saving features, such as an 'All Off' scene from the light switch next to your bed. Or 'Holiday Mode' can be activated to switch on and off lights as you would day to day to fool a possible intruder. 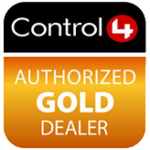 If your after an easier, convenient lifestyle, then lighting control is worth considering.